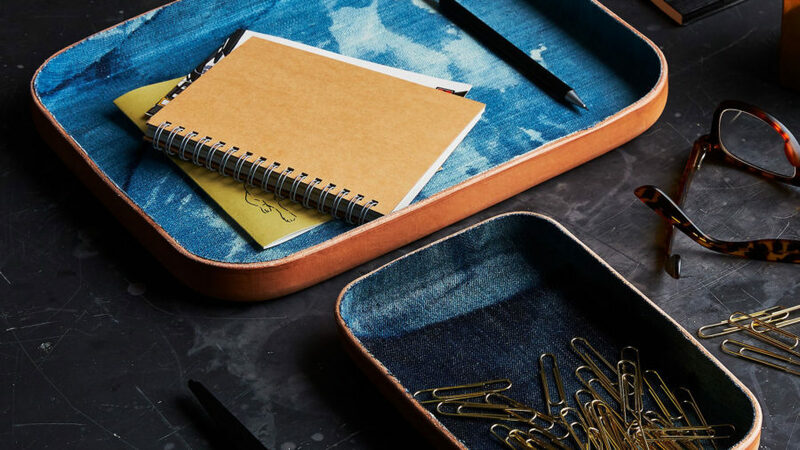 Keep your knickknacks neat with these on-trend denim and leather catch-all trays. Choose from classic blue jean, washed, and splattered denim in either large or small. 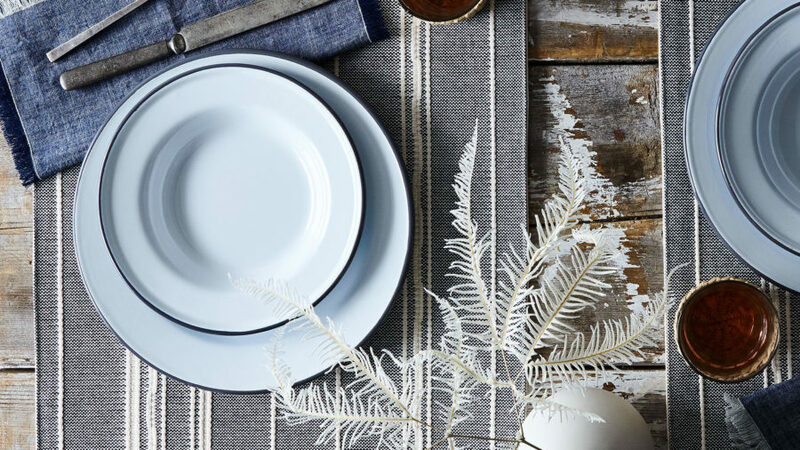 Set the table with these hand-fringed chambray napkins, which are the perfect classy-meets-casual item for everything from everyday dining to your next formal dinner party. 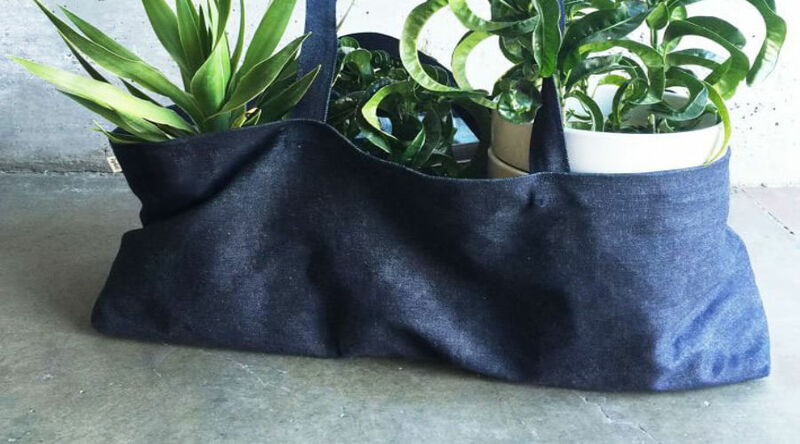 Handmade by a team of women in San Francisco, this market tote will be your trusty farmers’ market companion. Made from durable raw denim, it's good for lugging everything from fresh produce to your yoga mat. 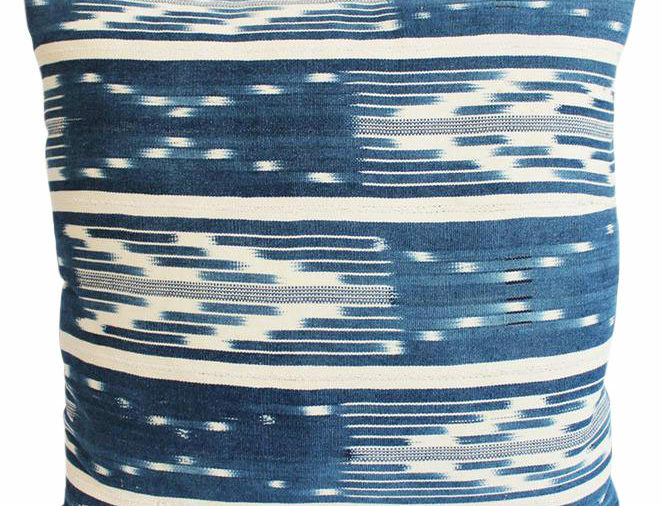 For the boho-loving and free-spirited decorator, this tribal denim ikat pillow will add laid-back vibes to your sofa or as a throw pillow on your bed. 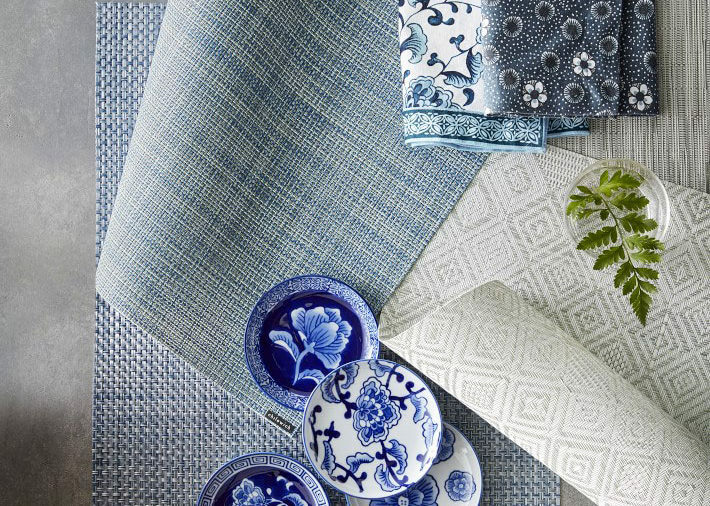 Woven in the U.S.A. from eco-friendly vinyl yarns, this placemat in denim tones is a tabletop essential. 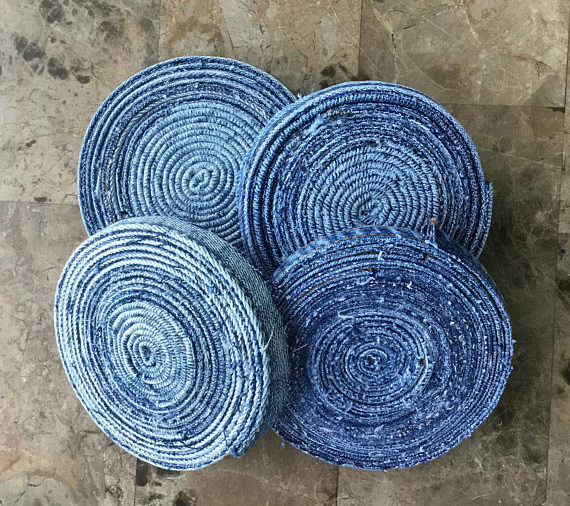 Finished by hand, these mats are easy to clean (just use a damp sponge) and are suitable for indoor and outdoor use—making denim your new tabletop look year-round. 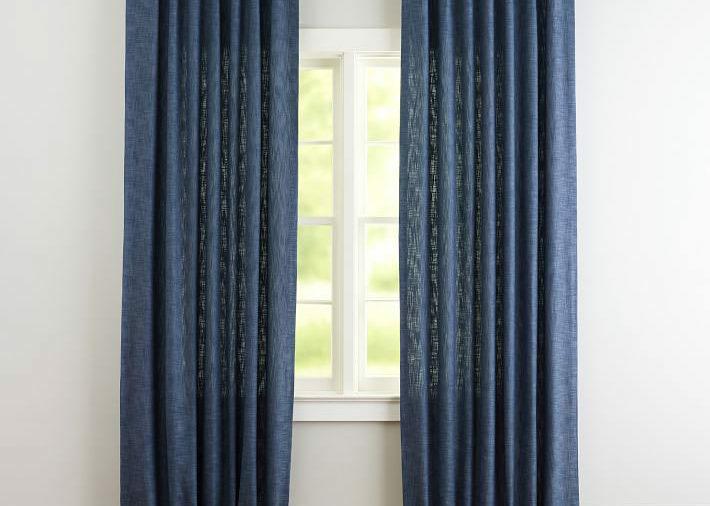 Put the finishing touch on your space with this denim-cotton drape. The calming blue denim-inspired hue is ideal for your bedroom or a nursery. Designed by Montage, this denim blue ottoman pair takes a classic jeans hue to a new level of sophistication. 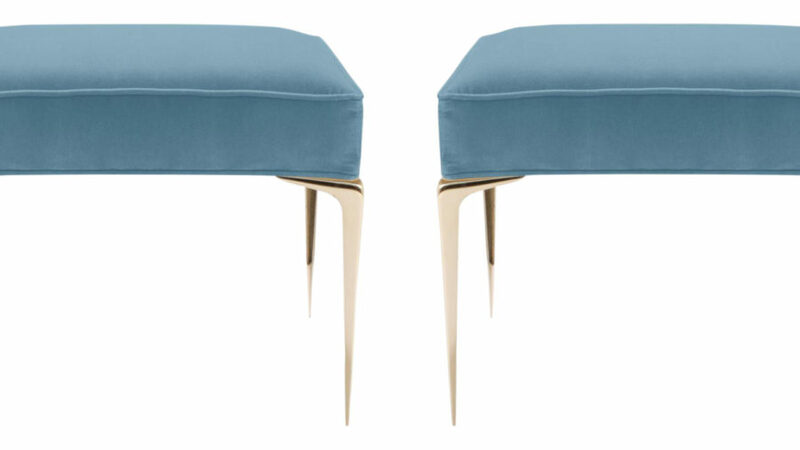 The tapered brass leg is an Italian design and the ottomans are upholstered in 100% cotton Italian velvet in a lush denim color. 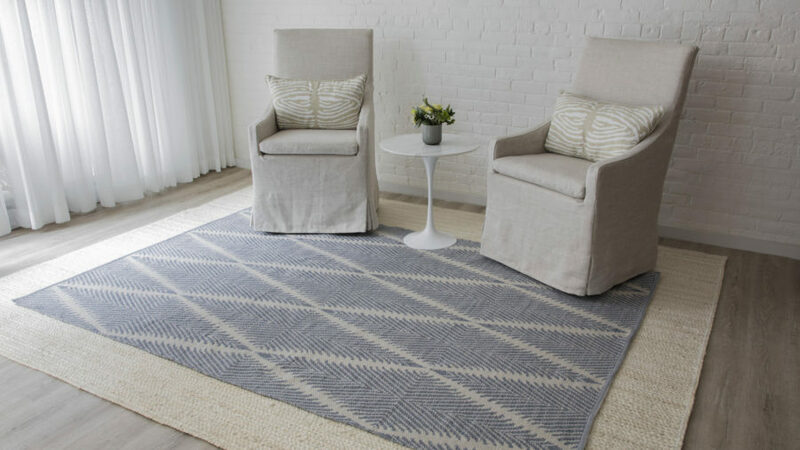 An updated twist on a traditional tribal pattern, this indoor-outdoor rug will bring trendy denim vibes to your home. From your rec room to your back patio, this rug will add a playful touch and feel nice underfoot. Available on Etsy, these coasters are made from recycled jeans—which means that each coaster is unique.